I'm fairly certain that I was one of the last people on planet Earth to jump on the tablet bandwagon. I wasn't discriminating or anything, I just couldn't figure out why I needed one when I had my trusty laptop. Rewind to about two weeks ago when this 2in1 tablet showed up at my doorstep and left me giddy after I opened it and started playing around! 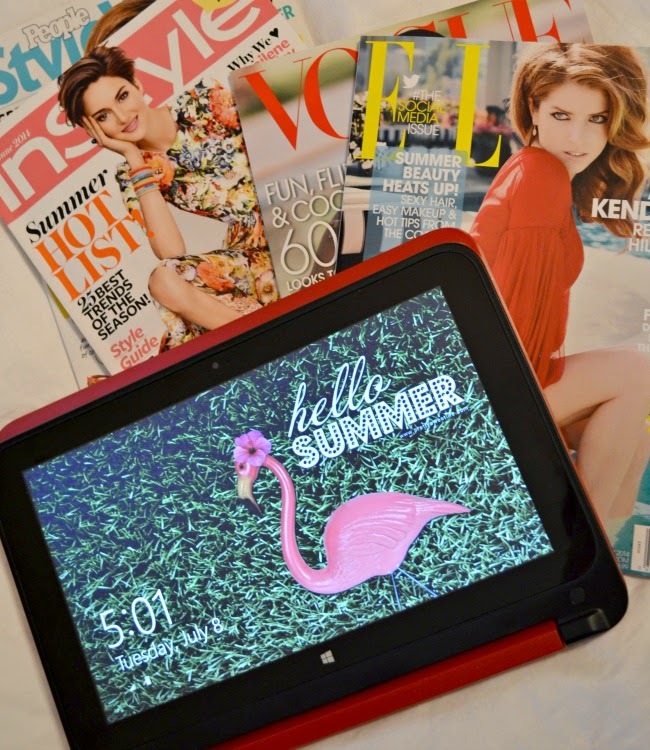 I'm so excited to be part of the Intel 2in1 Smart Squad and have the opportunity to share my experience with you using my new HP Pavilion 2in1 Tablet/PC! It's a pretty sweet little device, if I do say so myself - and they hit right at my girly heart by sending me the red one! The device can be used as a tablet or PC - both being powered by Intel and running the latest edition of Windows software. I'm going to be honest, I've used it mostly as a tablet - it's perfect for scrolling through social media, pinning, reading blogs and online magazines, and that's just a little bit of what it can do. Let me give you some more details. . . This is the lock screen - find yourself a pretty picture and personalize it. I opted for this one from Pretty Sweet Life. Simply take your finger and swipe up from the bottom to access your login screen and then you're in! I love the 360 degree hinge feature - you can fold the device back like I have it above, set it on your lap and pop the screen up, or set it up like a "tent" on a tabletop - perfect for video watching! The image in the bottom right is what you'll see when you login. Swipe from the right side of the screen to access the "start" bar - there you'll find personalization, power, and setting options. You can rearrange your icons however you like and group them together by category. The top image on the right is what twitter looks like on the device - I love it! Let me warn you, the app store doesn't offer as many options as you've been used to. However, you can save any website you want to the start page and the icon will be there - you can see in the images above some of the ones I've saved. The icons that you have saved to the start page can also be set to "live update" and will scroll telling you if you have updates on Facebook or Twitter, for example. The screen is fully touch and easily changes orientation just by turning the device. Need an answer to a user question? Just start typing and options will pop up on the sidebar! 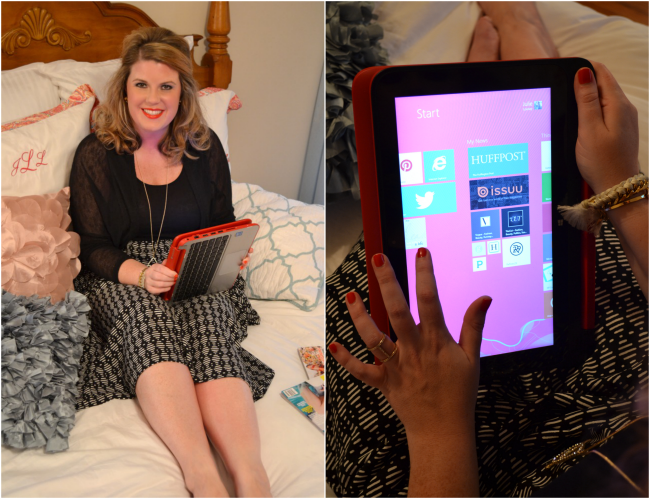 I can't wait to keep playing with my tablet and learning more about all the features! There's another blog post coming in the future! Do any of you have a similar device? Tell me about your experience! How stinkin' cute are you and your pup?! LOVE the lock screen! ;) See you this weekend, yay! 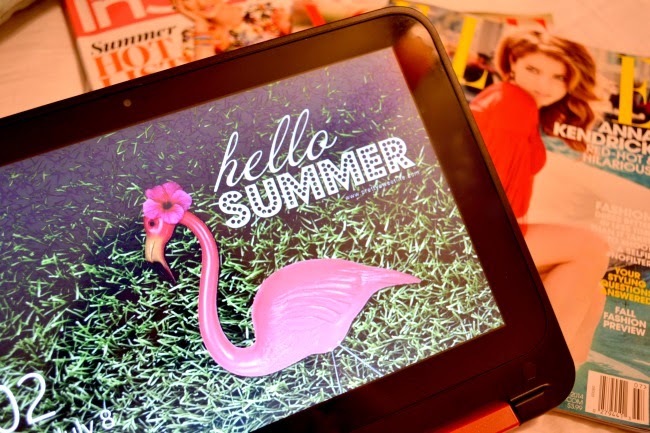 Your HP 2 in 1 Tablet looks wonderful and it sounds like it has some great features. I love the color and your lock screen is adorable.